You know when you love a product so much that you buy it in bulk, and get panicky when it&apos;s about to run out? That&apos;s how I feel about my COSRX BHA Blackhead Power Liquid—one of the only items in my skincare routine that has "Holy Grail" status. Despite its name, it&apos;s not just for blackheads (although it can certainly help with them). It&apos;s an exfoliating, brightening, smoothing, acne-fighting and anti-aging treatment... and it&apos;s something I&apos;d recommend for almost everyone! If you thought BHAs (beta-hydroxy acids) were just for acne, this one is going to change your mind! COSRX BHA Blackhead Power Liquid. First, let me give you some context for just how much I love this product. Before I discovered it, I&apos;d been a die-hard Lotion P50 user for ages. In fact, I was so devoted to Lotion P50 that I didn&apos;t even want to TRY the COSRX BHA Blackhead Power Liquid. I only did for the sake of this blog, figuring I&apos;d test it out for a few days and then go back to my regular P50 routine as soon as possible. What happened next totally surprised me. I started getting such incredible results (more on those in a minute) that I had to keep going with it. Almost two years and three bottles later, and I haven&apos;t stopped! It&apos;s a gentle, leave-on exfoliant. It uses beta-hydroxy acids (which are more powerful than alpha-hydroxy acids like glycolic acid and lactic acid). And it&apos;s in a moisturizing, silicone-free gel base. There&apos;s nothing else quite like it on the market! 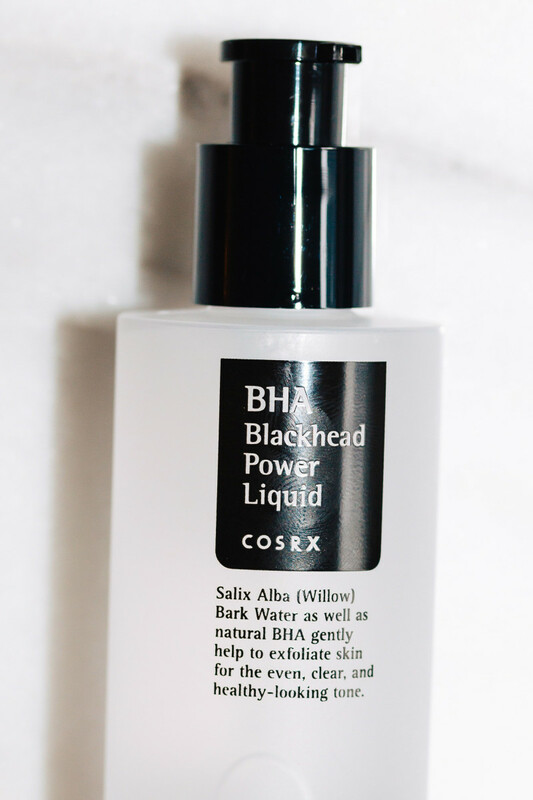 COSRX BHA Blackhead Power Liquid is so much more than just a blackhead treatment. Most BHA and salicylic acid products are spot treatments, for applying to individual pimples as they happen. 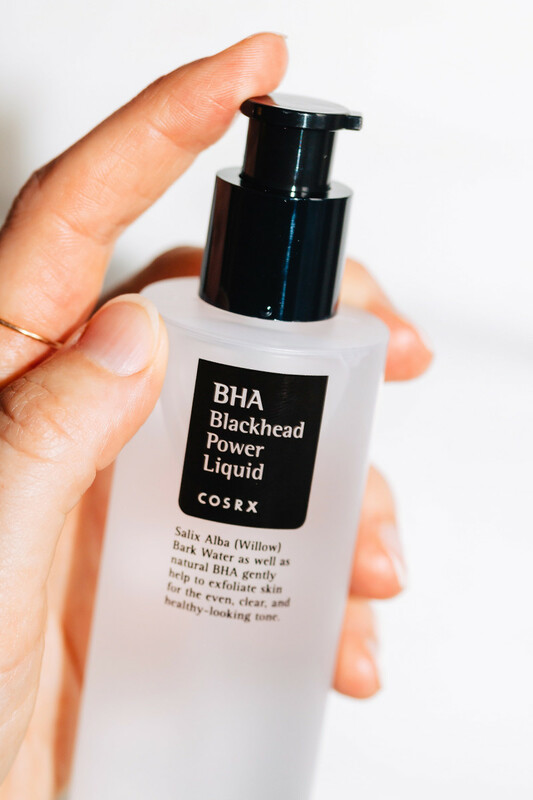 COSRX BHA Blackhead Power Liquid is one of the only ones that is meant to be used ALL OVER your face (excluding the eye area, obviously). In fact, using it on a regular basis—ideally daily—as a full-face treatment is far more effective against acne, because it helps prevent clogged pores from even forming in the first place! The reason COSRX BHA Blackhead Power Liquid works so well against acne is because, as a BHA, it is oil-soluble and penetrates deeply, through sebum. This is different from AHAs (alpha-hydroxy acids), which are only water-soluble and remain on the skin surface. So once the BHA reaches your pores, it gives your skin a deep-clean by exfoliating the pore lining and loosening clogged sebum. This process allows oil to flow out more easily (instead of becoming trapped), and softens blackheads, making them easier to extract. BHAs are also mildly antibacterial. If you do get a pimple, COSRX BHA Blackhead Power Liquid will help it clear quickly. I&apos;ve also found it great for those lingering, under-the-skin, non-inflamed type of comedones. You just need to give it a month or so to see the full effect! When used on a continuous basis, COSRX BHA Blackhead Power Liquid can also help reduce your oil production. This is because, like all BHAs, it has a slightly drying, oil-absorbing action in the pores. What you might not know about BHAs is that they deliver the same exfoliating and brightening benefits as AHAs. 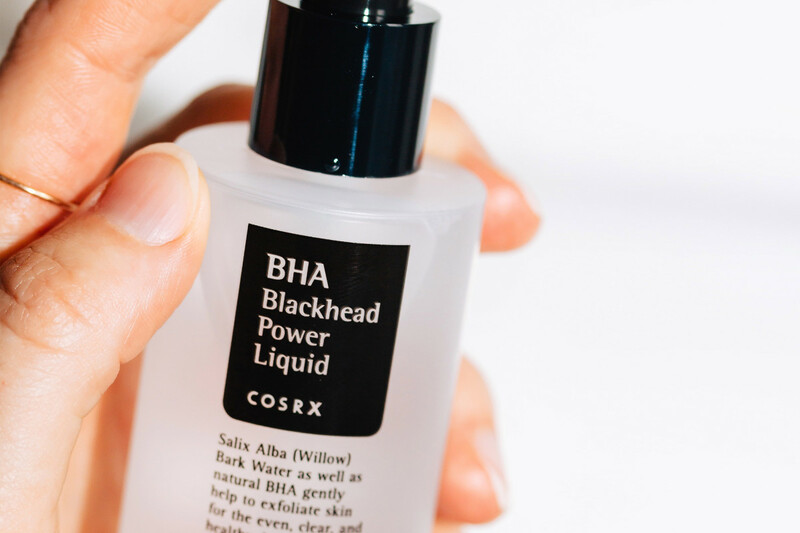 So COSRX BHA Blackhead Power Liquid has the exact surface action as any other acid exfoliant, dissolving dead skin and giving you a glow. I&apos;ve actually noticed it makes my skin texture much smoother and softer than other acids, including Lotion P50! BHAs like COSRX BHA Blackhead Power Liquid are also anti-aging. As per this study, they can be used to treat fine lines. This study found skin became more flexible and resistant to wrinkling and cracking. Of course, removing dead skin cells also helps fade age spots and pigmentation. Plus, BHAs have some ability to inhibit melanin formation, according to this study. Bonus: COSRX BHA Blackhead Power Liquid also contains niacinamide, another amazing ingredient for evening out skin tone! 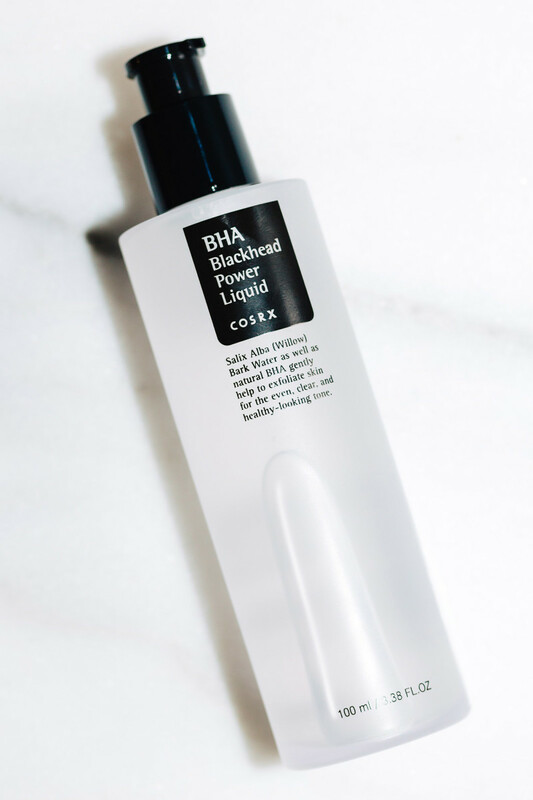 Compared to other BHAs (The Ordinary and Paula&apos;s Choice, I&apos;m looking at you), COSRX BHA Blackhead Power Liquid is quite gentle. I don&apos;t find it anywhere near as drying! I also love that the formulation includes hyaluronic acid and vitamin B5, to help skin hold onto water. The other great thing about BHAs and salicylic acid is that, as part of the aspirin family, they are anti-inflammatory by nature. They&apos;re also much less irritating than AHAs, due to their larger molecule sizes. Rest assured that you can apply COSRX BHA Blackhead Power Liquid year-round, day or night. While I&apos;d recommend using sunscreen regardless, BHAs and salicylic acid won&apos;t increase sun-sensitivity, and actually have some photoprotective properties. That&apos;s not the case with AHAs, which do make your skin more vulnerable to the sun (see this study). At minimum, I&apos;d suggest only using AHAs at night during the months you get sun exposure, or even better, just switch to a BHA like this one! COSRX BHA Blackhead Power Liquid ingredients. Alright, on to the ingredients. 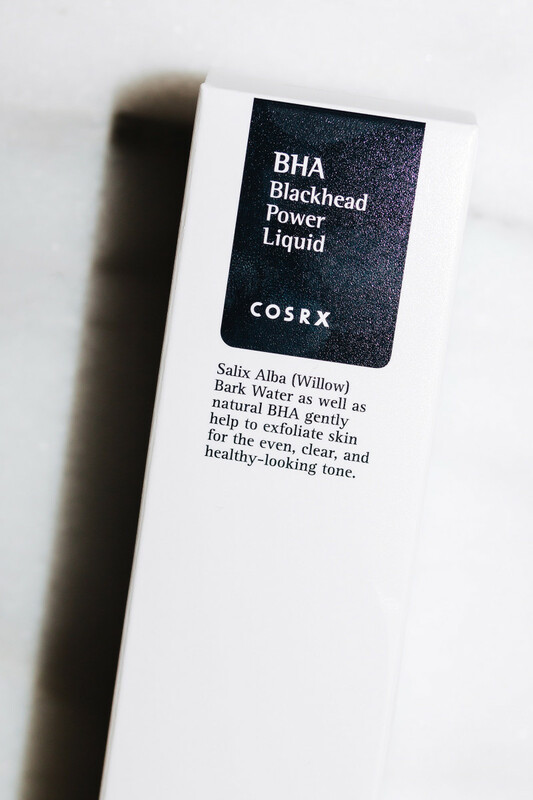 COSRX BHA Blackhead Power Liquid has a super-short list. No silicones in here, and it&apos;s also paraben-free and cruelty-free. Willow bark water: Although willow bark contains salicylic acid, this is not the actual BHA, just the base for the product—rather than regular water. It has skin-soothing properties. Butylene glycol: This is an organic alcohol that acts as a solvent and penetration enhancer for the BHA. It&apos;s also a humectant (draws water to the skin). Betaine salicylate: This is the BHA, a derivative of sugar beets, which they use in a 4 percent concentration. According to the manufacturer (Arch Personal Care Products), 4 percent betaine salicylate is equivalent to 2 percent salicylic acid (the concentration used by The Ordinary and Paula&apos;s Choice in their BHA formulas). I personally find betaine salicylate is equally effective, but less drying. Niacinamide: Also known as vitamin B3, it treats many skin issues, including dullness, pigmentation, fine lines, large pores and a weakened skin barrier. 1,2-hexanediol: This is a preservative and humectant. The lightweight gel texture of COSRX BHA Blackhead Power Liquid. Here, you can see the light texture of COSRX BHA Blackhead Power Liquid. I would describe it as a very thin, spreadable, clear gel. It feels fresh on the skin, and isn&apos;t oily at all (not like Paula&apos;s Choice Skin Perfecting 2% BHA Liquid). It also absorbs fully, leaving no residue. Apply a thin layer of COSRX BHA Blackhead Power Liquid all over your face, excluding the eye area. To start, you could apply the COSRX BHA Blackhead Power Liquid once or twice a week, and build up to more frequent applications from there. The box says two or three times per week, but I jumped in at once a day, since I was already doing that with P50, and now I tolerate twice-daily applications with no problems at all. It really just depends on what your skin can handle. I do cut back a bit in the winter, when my skin is drier—I rotated it with Juice Beauty Blemish Clearing Serum, which is a 0.75 percent salicylic acid, or just applied the COSRX BHA Blackhead Power Liquid in my T-zone. Step 1: Wash your face as usual. I would advise against toners, though, as in my experience they react badly with this formula. 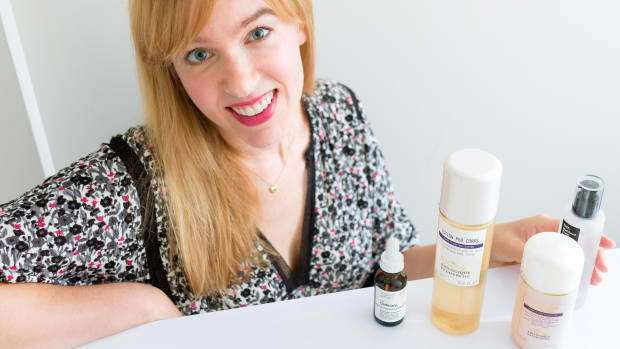 I tried both Indie Lee CoQ-10 Toner and Herbivore Jasmine Green Tea Balancing Toner, and both times, my skin started getting blotchy and itchy as soon as I applied the COSRX BHA Blackhead Power Liquid on top. I don&apos;t know which ingredients aren&apos;t playing well together, but this definitely doesn&apos;t happen when you put it on bare skin, so that&apos;s what I advise! Step 2: Spread a thin layer over your whole face, avoiding the eye area. 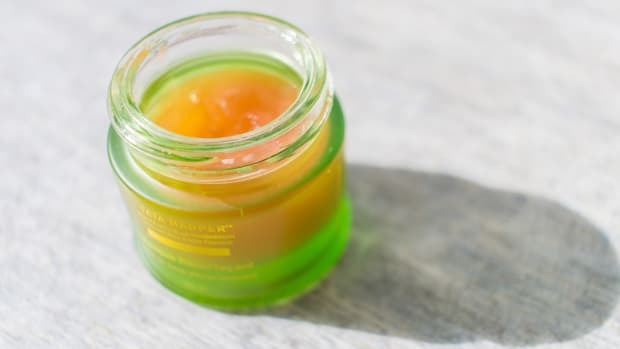 Alternatively, you can just concentrate the gel on any areas of congestion or dead skin, such as the chin, nose and forehead. By the way, I don&apos;t use a cotton pad to apply this (it wastes too much product). What I do is tip my head back and bit and do a couple of half-pumps directly onto my skin; then I spread that around. Step 3: Wait for the product to fully absorb before layering any hydrators, makeup or sunscreen on top. Ideally, you want to give it a good 20 or 30 minutes to get the full benefit. 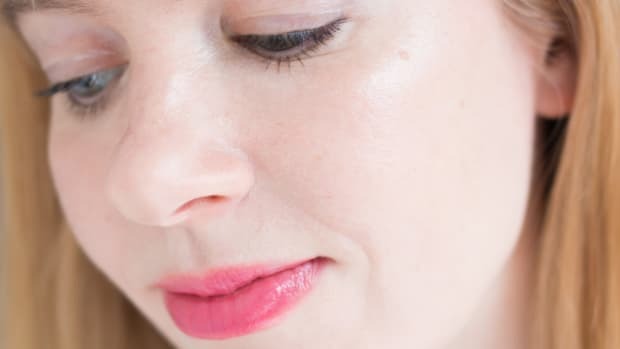 Note: If you have acne-prone skin and are new to BHAs, you may get some initial purging, as it brings underlying clogs that were brewing up to the surface more quickly. Purging typically lasts up to two months. However, it&apos;s well worth sticking it out, as your skin will be much clearer for it! I think I got a bit of purging along my chin/jawline, but it really wasn&apos;t a big deal, and healed quickly. 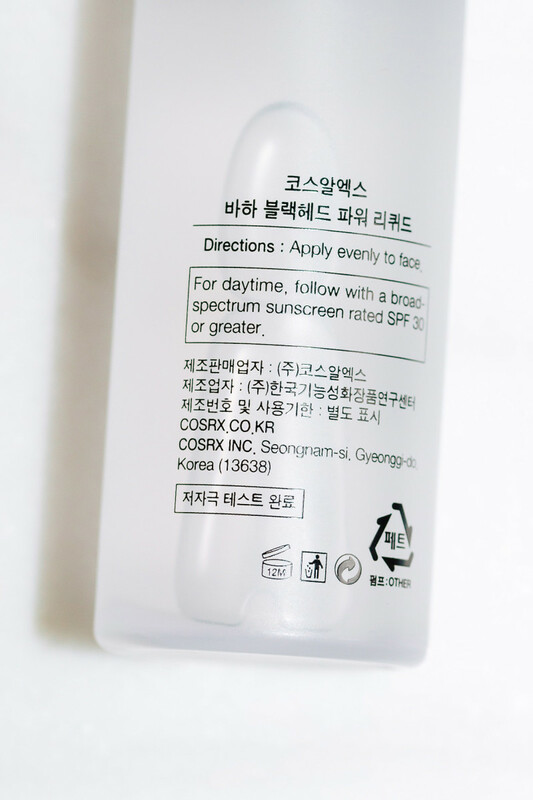 During the daytime, use COSRX BHA Blackhead Power Liquid with sunscreen. 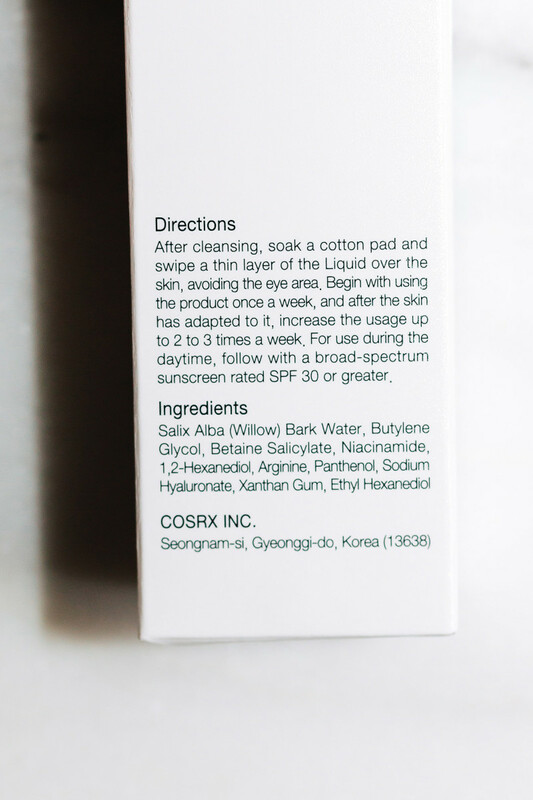 COSRX BHA Blackhead Power Liquid used to come with a warning to avoid using any other exfoliants, retinoids or vitamin C products at the same time. With my latest purchase, I noticed they&apos;ve removed that, and just recommend SPF 30 sunscreen. But here&apos;s the lowdown anyway! 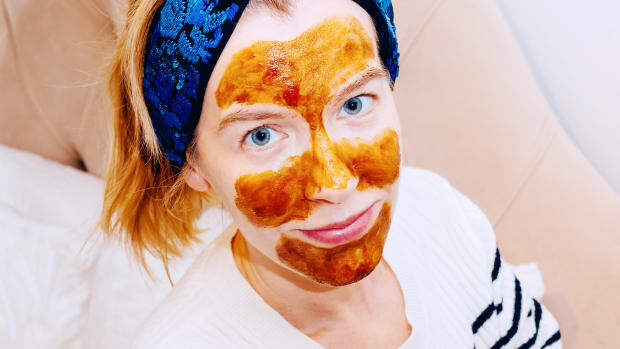 Other exfoliants: It&apos;s not necessary to use other exfoliants at the same time as COSRX BHA Blackhead Power Liquid, since it&apos;s already sloughing off the top layer of dead skin cells. I did try doubling up with P50 for a time, but I don&apos;t think there was any major additional benefit... plus it&apos;s more irritating! Retinoids: Because of the differences in pH, I suggest using your retinoid at a different time of day than the COSRX BHA Blackhead Power Liquid, or incorporating a wait time of 30 minutes. This tutorial has all the details. Vitamin C: You actually can use a BHA at the same time as vitamin C, but which one goes first, and whether you need a wait time, depends on the pH. This tutorial explains what you need to know. COSRX BHA Blackhead Power Liquid gives you clear, even-toned, healthy-looking skin. For me, the magic started to happen when I began using COSRX BHA Blackhead Power Liquid twice a day, every day, the same way I used Lotion P50. It goes without saying that I get fewer breakouts now. It also annihilated annoying, under-the-skin congestion (the kind you can&apos;t see but can feel). My pores are cleaner, my skin smoother and more glowy, and it quickly fades dark marks, sun damage and post-inflammatory pigmentation. The only downside I&apos;ve noticed has been dryness, especially during the first week, but that&apos;s mostly gone away with continued use. If I do start getting a bit flaky from overdoing it, I just skip a day or two and up my moisturizer, and my skin is back to normal. I never thought I&apos;d find a product that could compete with P50, so I&apos;m really blown away! Do you use BHA exfoliants? Swipe away dullness, pigmentation, breakouts and more. How to get the most out of your active skincare products.